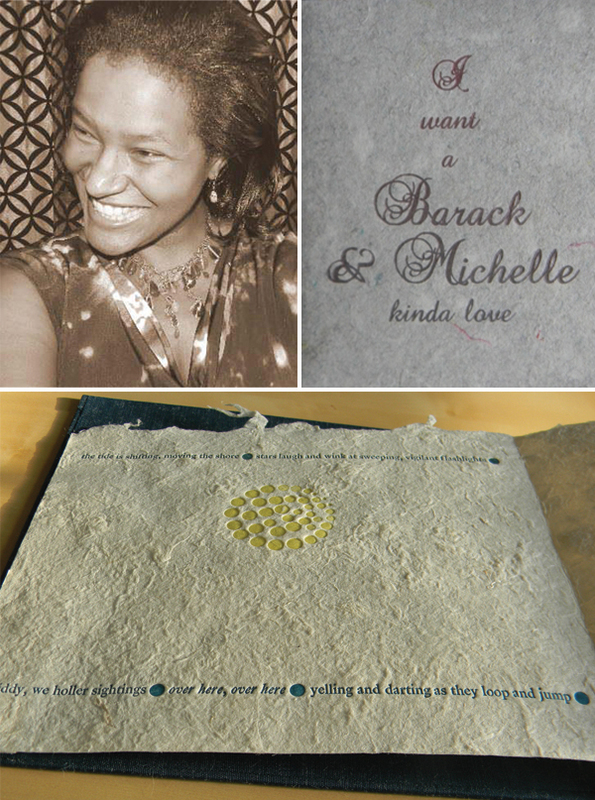 Tia Blassingame has navigated a printing career with a historical passion and kinetic love for the design process. As the wise woman behind Primrose Press, she threads a dozen different creative experiences into one singular life—a life of letterpress and artists’ books. Tia sat down with us to discuss everything from the powerful draw of history to the genius of typesetting. TALKING SHOP WITH TIA My training is in architectural design and history. My focus has been on the intersection of architecture, African American history, and perception. BEAUTIFUL BEGINNINGS During an artist residency, a visual artist and I visited the resident letterpress printer. He was generous enough to open his studio to us, show us how to set type, use his press, everything. It was a perfect day. I still have the broadside that I made that day. Many years later I thought back to that perfect day, when I was thinking about what might make me happy creatively. Up until that point, my creative focus had been upon writing about architecture, African American architectural history, and art. I signed up for letterpress classes at the Center for Book Arts, and almost immediately knew that letterpress printing was for me. I like the precision of it, the feel of lead type, the rhythm of setting type, and the freedom that comes with wood type, [as well as] how it shows its age. Overall I love how the type, the machines, and the process connects you to another time. You can almost see someone fifty, one hundred years ago doing the exact thing you are doing, in the same way. For someone interested in history, this was a very powerful draw for me. Particularly in considering how slave and freedmen apprenticed or owned by early American printers might have set sentences character by character, but would not have had the freedom to choose their words or sentiments. LOVE AT FIRST SIGHT Primrose is the name of the first metal ornament that I purchased. It is a decorative border, and I use it as a symbol of the press, but also in many pieces. Also Primrose was the name of part of a mistrel duo that worked in blackface – Primrose & West. My press work deals with beauty, but also presenting issues of racism in a visually appealing way that might disarm the viewers initial instinct to flee or avoid the topic. Primrose, with this duel meaning, seemed an appropriate name. THE CREATIVE PROCESS I currently have two veins of activity: letterpress papergoods and artists’ books. For me, the stationery and prints inform my books. I use the notecards to experiment or perfect a technique. For example, I have long been interested in overlay. This is something that I work with a lot. Not all attempts are successful, but over time I get better and more knowledgeable about what works for me. Other times, I want to gain a better understanding about how a material or paper prints or folds or takes ink. I am fortunate in that my customers do not seem to mind the experiments. And I have a group of customers that have been supportive since my first day and have seen my progress. I am constantly sketching, doodling, thinking/obsessing about projects or sentiments for cards. Some pieces are thoroughly planned out before I get to the press, but I also enjoy figuring it out on the press. FULL TIME FUN I print as often as possible. I would love to be a full-time printer. 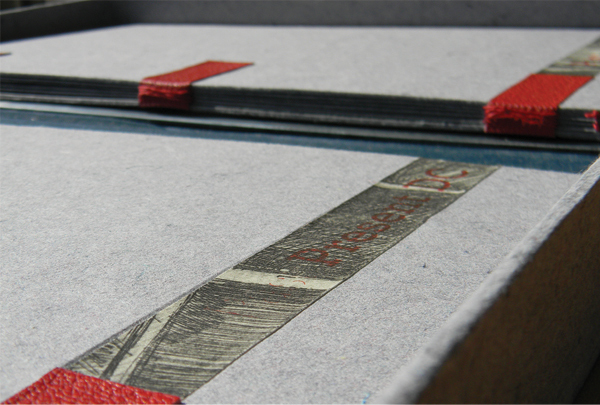 My goal is to better marry my stationery pursuits with my artists’ books and prints. 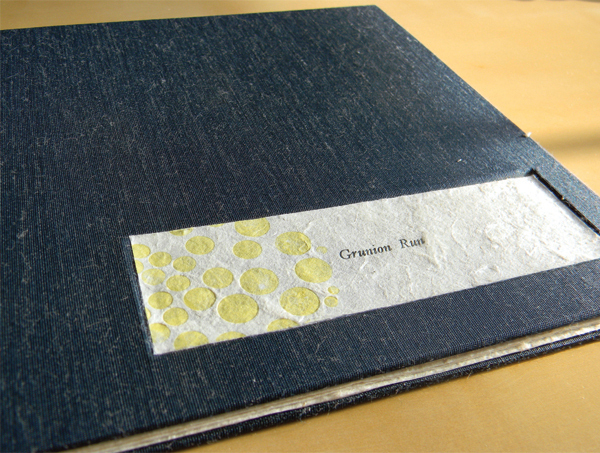 I consider myself a book artist and printmaker. I am very hands-on and prefer to be perform all duties: writing the text, designing, creating illustrations, printing, bind, etc. 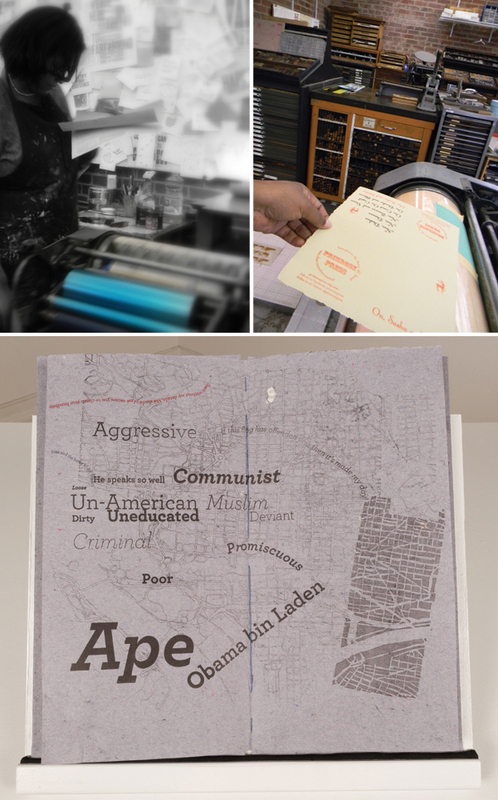 PRINTING FEATS “Past Present: DC”, my set of artists’ books on segregation in historic and contemporary Washington, D.C., was recently acquired by the State Library of Queensland. I spent over a year researching, made the paper from my own clothing, created the etchings, created the polymer plates, set the type, but at some point you find yourself in a vacuum. You hope the work has meaning to others. At some point you get so close to the project, it is hard to know. The fact that the library felt the piece would resonate with their patrons was very humbling. BOXCAR’S ROLE Though handset letterpress has my heart, increasingly my projects require the use of typefaces that are not available in metal or wood. I find myself spending more time at my computer before getting to the press. Boxcar Press allows me to bring my designs from sketch to life. PRESS HISTORY My first press is a very adorable 1906 Sigwalt. HOME IS WHERE THE PRESS IS My home studio is crammed with paper and artists’ book projects – both finished and in process. SHOP TIPS If you are in a rush or cocky, it is more than likely that the print gods will not be on your side. The print gods will humble you and remind you how little you know. WHAT’S NEXT I am big on collaboration, and have had the good fortune to have met some talented artists over the years. In 2013, you can expect more limited edition collaborations. A few years ago, I started a valentine swap with a group of artists (writers, composers, printmakers, book artists, poets). 2013 will bring the 3rd annual Artists’ Valentine Swap. Photos of valentines in process and finished and details on how you can be part of the swap will be posted on the Primrose Press Facebook page. A big round of thanks out to Tia for letting catch a glimpse at the wonderful world of Primrose Press! This entry was posted in Printer Profiles, Shop Talk and tagged letterpress print shop, letterpress printers, Primrose Press, Tia Blassingame by Rebecca Miller. Bookmark the permalink.